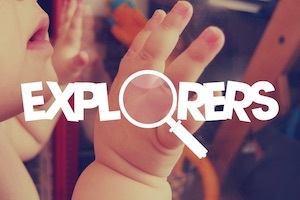 Explorers is for our Pre-School children. Explorers takes place each Sunday morning during the Morning Worship service. Our dedicated team will play with children, sing songs about Jesus and follow on appropriately from the kids' story told in the main service that day. Parents have the choice to stay with their little Explorers or return to the sermon being preached.